Whether as a luxury vacation spot or a sumptuous second home, Fairmont Heritage Place, Ghirardelli Square is one San Francisco’s top spots for settling in during your time in the city. Those who choose to take part in the fractional ownership program are invited to experience 35 days of use throughout the year—at not only the San Francisco outpost but any of the properties in the reciprocal program (Whistler, Vancouver, Maui, London and Beijing are just a few of the participating areas). But even those who are checking in just for a few nights (three-night minimum) enjoy use of Fairmont’s one-, two- and three-bedroom urban abodes, featuring cool brick walls, modern furnishings, top-of-the-line appliances, in-room washer and dryer and much more. Property amenities are just as impressive: the famed Mustard Terrace with panoramic bay views, a billiards lounge, a fitness center and complimentary use of bikes and golf clubs, for instance. 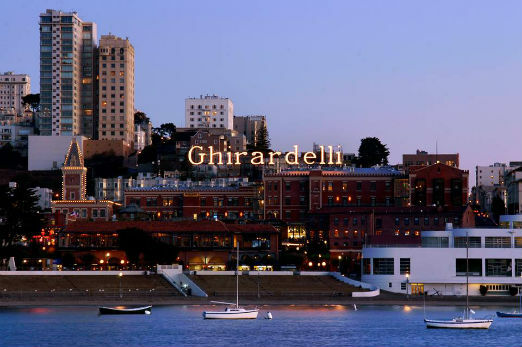 And, Fairmont is mere steps from the famed Ghirardelli cafe (as well as plenty high-end eateries, shops and the area’s piers), so satisfying a sweet tooth has never been more convenient. One-bedroom fractional ownership starts at $169,000. www.fairmontatghirardelli.com.